Spend the 12th (Sun) wandering through the wild on a nature and wildlife tour. Plan for a day of cool, family-friendly fun on the 14th (Tue) at Darwin Waterfront. There's lots more to do: kick back and relax at Mindil Beach, make a splash at Wave Lagoon, and take an unforgettable tour with a helicopter tour. To find more things to do, ratings, maps, and tourist information, refer to the Darwin day trip planner . If you are flying in from United Kingdom, the closest major airport is Darwin International Airport. In July, plan for daily highs up to 36°C, and evening lows to 22°C. Wrap up your sightseeing on the 14th (Tue) to allow time to travel to Port Douglas. Start off your visit on the 15th (Wed): discover the deep blue sea with a scuba or snorkeling tour. On the 16th (Thu), you'll have a packed day of sightseeing: get outside with Horses in Port, stop by With Sugar, then admire all the interesting features of Hartley's Crocodile Adventures, and finally get to know the resident critters at Wildlife Habitat Port Douglas. To find ratings, traveler tips, reviews, and other tourist information, go to the Port Douglas tour planning site . Traveling by combination of flight and shuttle from Darwin to Port Douglas takes 5.5 hours. Alternatively, you can drive; or take a bus. Traveling from Darwin in July, you will find days in Port Douglas are little chillier (30°C), and nights are about the same (20°C). Wrap up your sightseeing on the 16th (Thu) early enough to drive to Cairns. Spend the 17th (Fri) among aquatic life with a scuba or snorkeling tour. Spend the 18th (Sat) wandering through the wild on a nature and wildlife tour. The adventure continues: stroll through Esplanade Boardwalk, let the kids burn off some steam at Muddy's Playground, and enjoy some diversion at Esplanade Lagoon Pool. Quickly create a custom-made itinerary for Cairns using our trip planner. Traveling by car from Port Douglas to Cairns takes 1.5 hours. Alternatively, you can take a bus; or take a shuttle. In July, daytime highs in Cairns are 30°C, while nighttime lows are 20°C. Finish your sightseeing early on the 20th (Mon) so you can travel to Uluru-Kata Tjuta National Park. Uluru-Kata Tjuta National Park is known for nature, museums, outdoors, trails, and classes. Your plan includes some of its best attractions: explore the striking landscape at Uluru, contemplate the waterfront views at Mutitjulu Waterhole, appreciate the views at Valley of the Winds, and take in the awesome beauty at Kata Tjuta. To find maps, ratings, other places to visit, and other tourist information, read Uluru-Kata Tjuta National Park trip itinerary planning app . Traveling by flight from Cairns to Uluru-Kata Tjuta National Park takes 5 hours. Alternatively, you can drive. When traveling from Cairns in July, plan for slightly colder days in Uluru-Kata Tjuta National Park, with highs around 24°C, while nights are cooler with lows around 4°C. Finish your sightseeing early on the 22nd (Wed) to allow enough time to travel to Torquay. 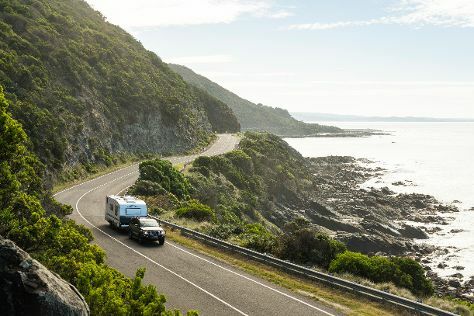 You'll find plenty of places to visit near Torquay: Cape Otway Lightstation (in Cape Otway), Lorne (Erskine Falls, The Splitters Grave, & more) and Otway Fly Treetop Adventures (in Weeaproinah). Next up on the itinerary: cruise along The Great Ocean Road, stroll through Great Ocean Walk, and take a peaceful walk through Mait's Rest. For reviews, more things to do, maps, and more tourist information, read our Torquay travel planner. Do a combination of flight and shuttle from Uluru-Kata Tjuta National Park to Torquay in 6.5 hours. Alternatively, you can drive. When traveling from Uluru-Kata Tjuta National Park in July, plan for slightly colder days and about the same nights in Torquay: temperatures range from 16°C by day to 5°C at night. 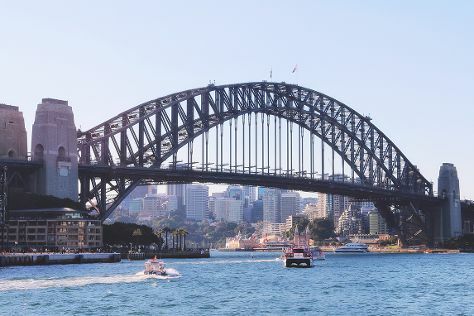 Wrap up your sightseeing on the 26th (Sun) to allow time to travel to Sydney. Kick off your visit on the 27th (Mon): enjoy the sand and surf at Manly Beach, then wander the streets of The Rocks, and then admire the landmark architecture of Sydney Tower Eye Observation Deck. On the 28th (Tue), you'll have a packed day of sightseeing: meet the residents at Sea Life Sydney Aquarium, then stroll through Bondi Beach, then stroll through The Opera House to the Botanic Gardens Walk, and finally see a show at Sydney Opera House. For ratings, where to stay, photos, and tourist information, you can read our Sydney trip itinerary planner. Do a combination of shuttle and flight from Torquay to Sydney in 6 hours. Alternatively, you can fly; or drive. In July, Sydney is a bit warmer than Torquay - with highs of 21°C and lows of 9°C. Wrap up your sightseeing by early afternoon on the 29th (Wed) to allow time for travel back home.